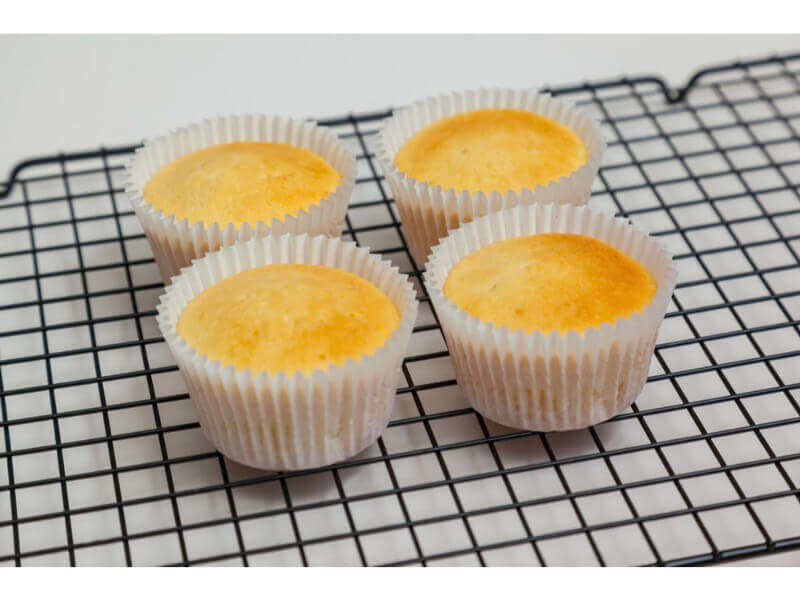 In this free tutorial, Suzi shows you how to make her perfect flat topped cupcakes. 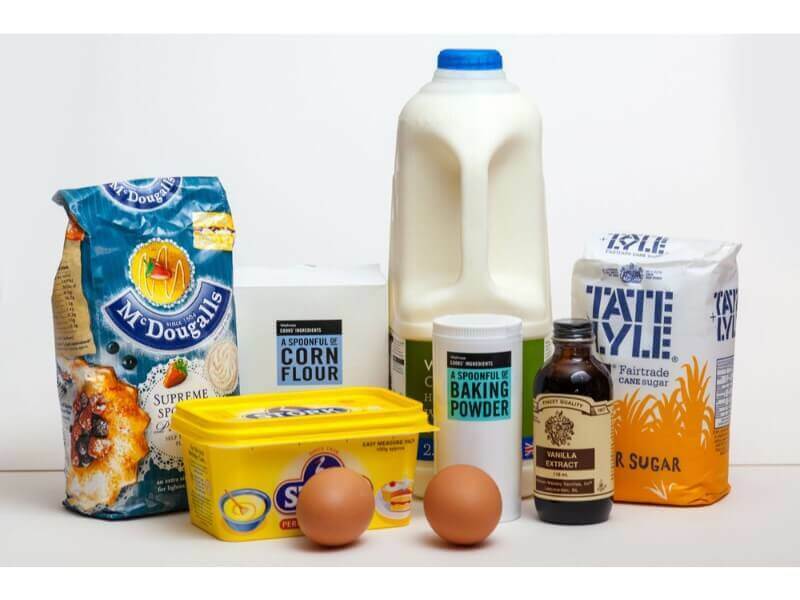 This recipe has been used in all her classes and over 5,000 face to face students learnt using this method. 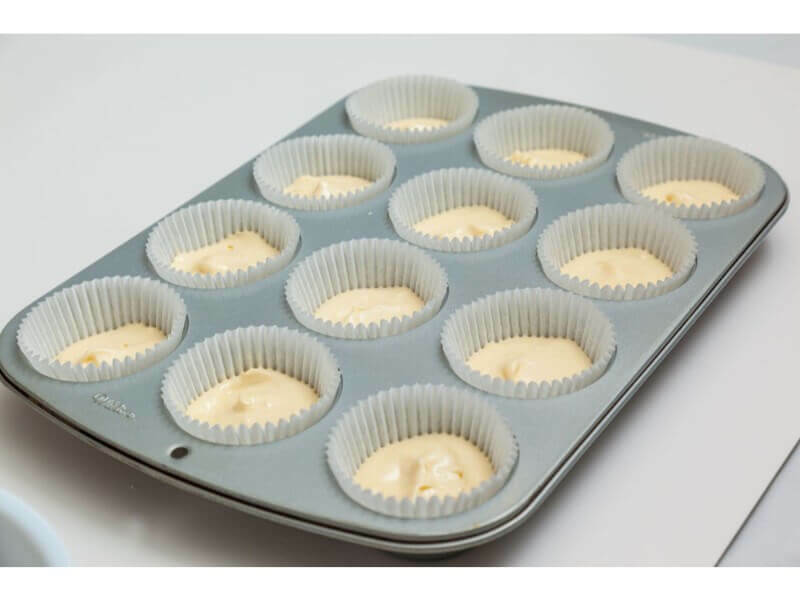 It is also now widely used in the cake community as a leading cupcake recipe. Watch the video above and/or follow the step by step pictorial below. 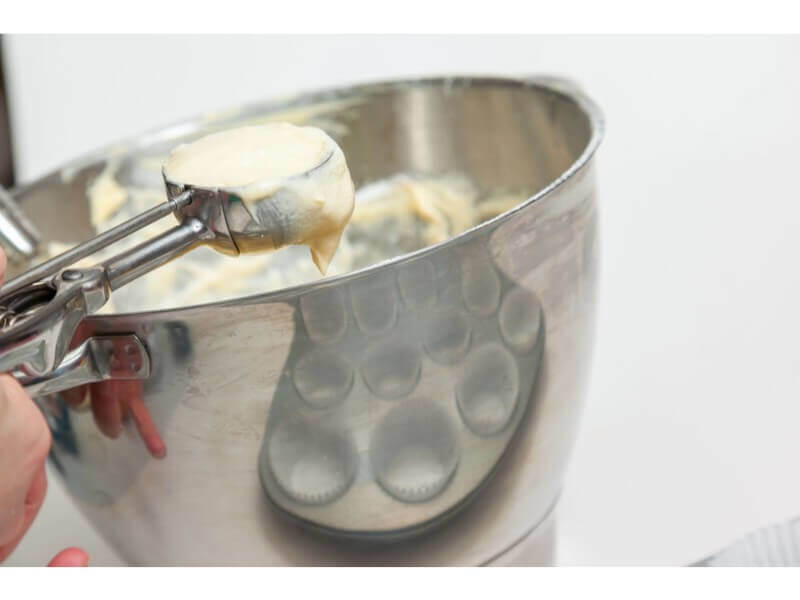 Inside the Pretty Witty Academy, there are over 125 different amazing recipes for cake makers ranging from cupcakes to wedding cake recipes and everything in between. 1. 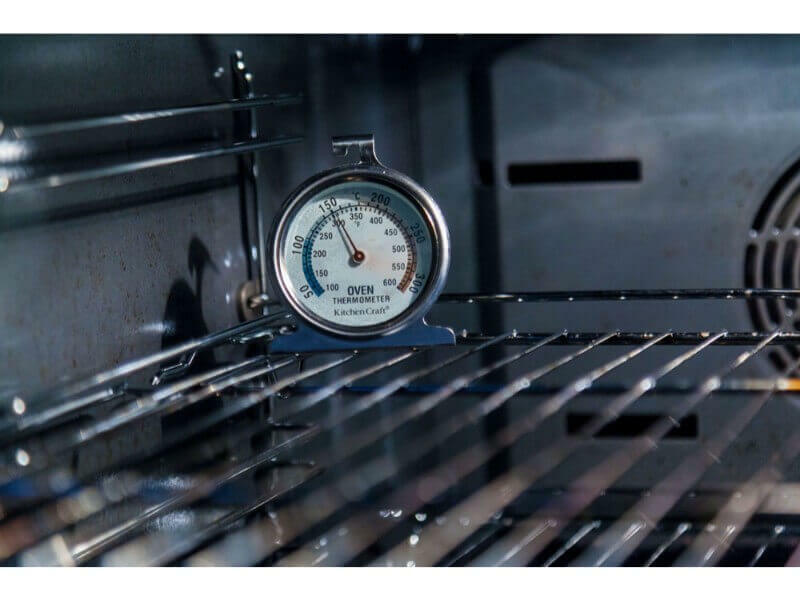 Before you start pre heat your oven to 150 degrees (fan). 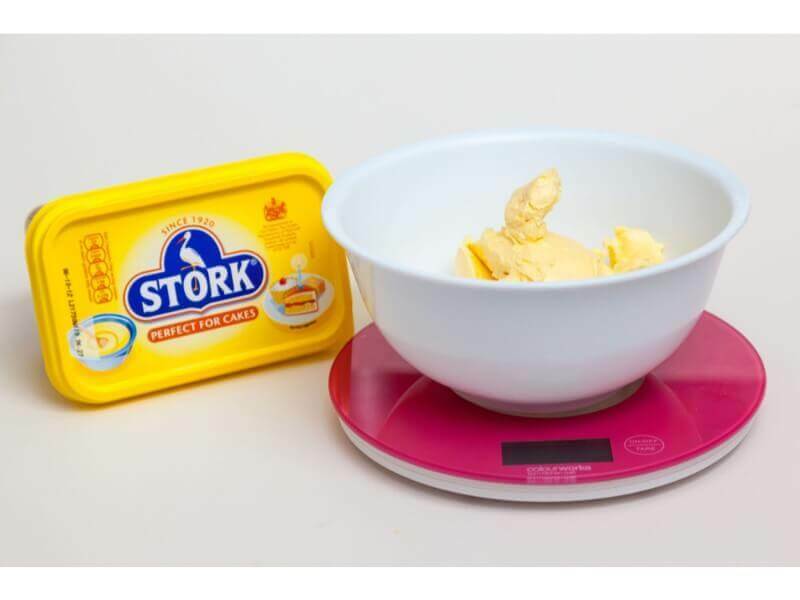 Measure out 210g stork for cakes (not stork for pastry!). You can use other margarine. 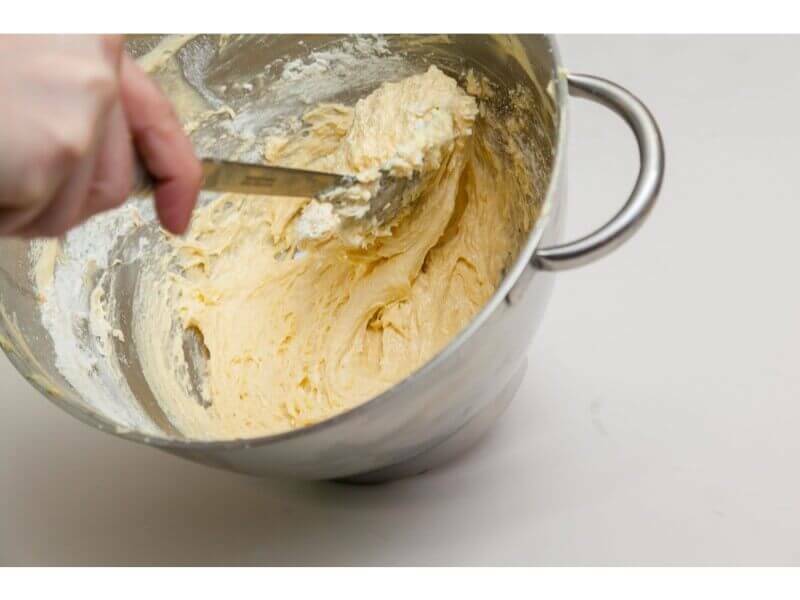 You can also use butter but this will make your cakes dome a little more. 2. 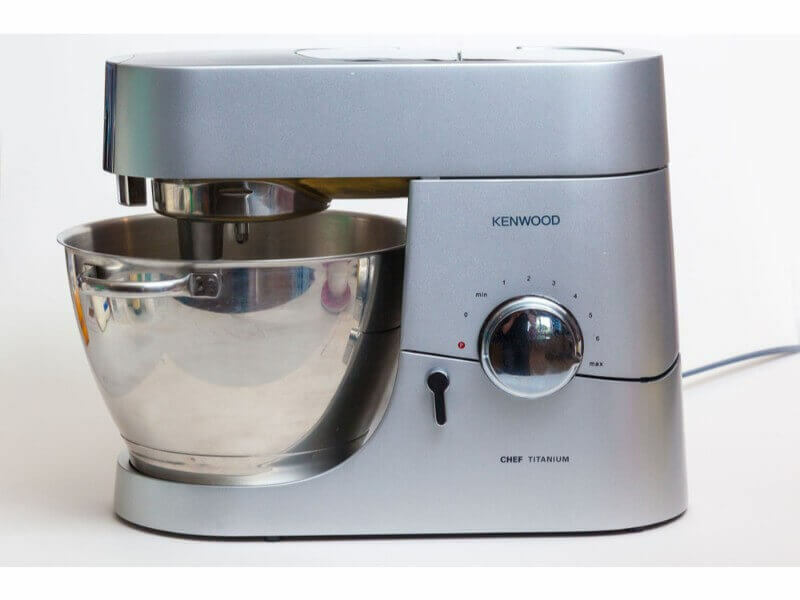 Put the Stork for cakes / margarine in your Kenwood/Kitchen Aid and mix on high speed. 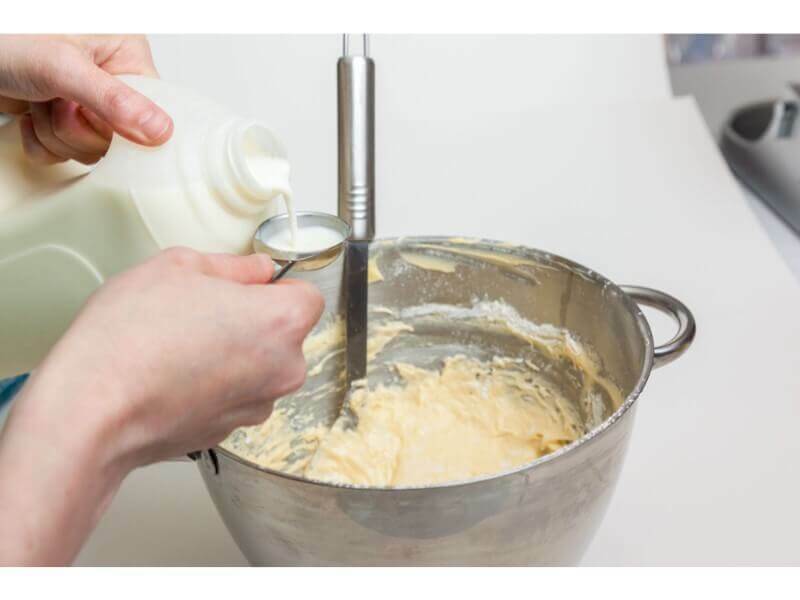 You can also mix in a hand held mixer on high speed. Mix for about 3 minutes on its own. 3. 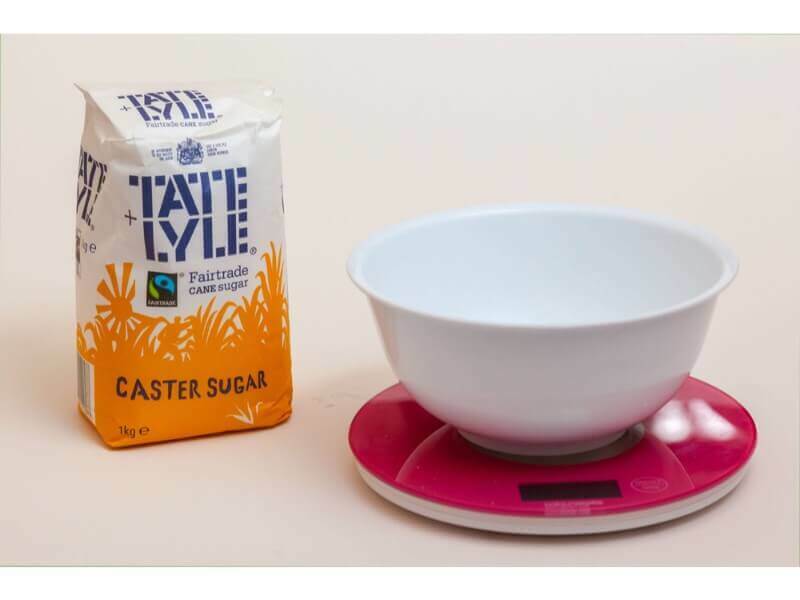 Measure out 220g caster sugar. 4. 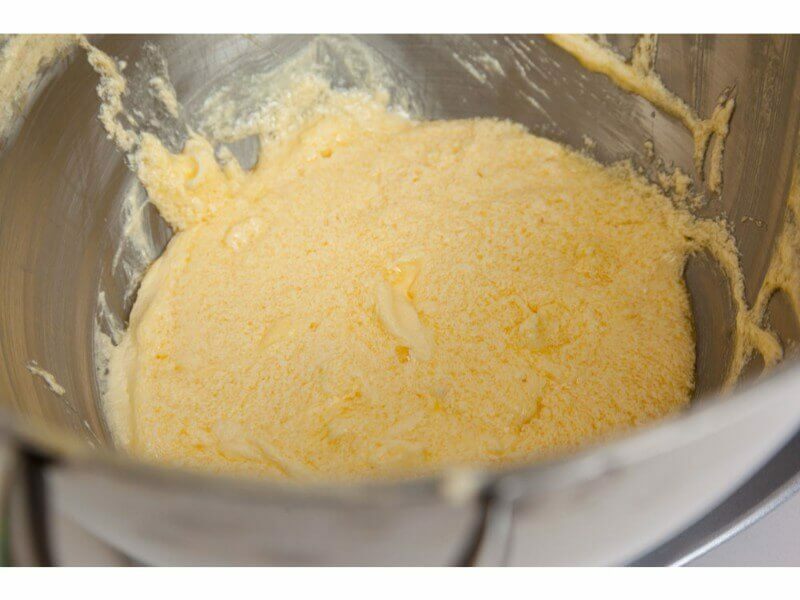 Add the caster sugar to the Stork/margarine and mix on high speed for around another 3 minutes. 5. Mix it until it is light and fluffy and all bound together properly. 6. 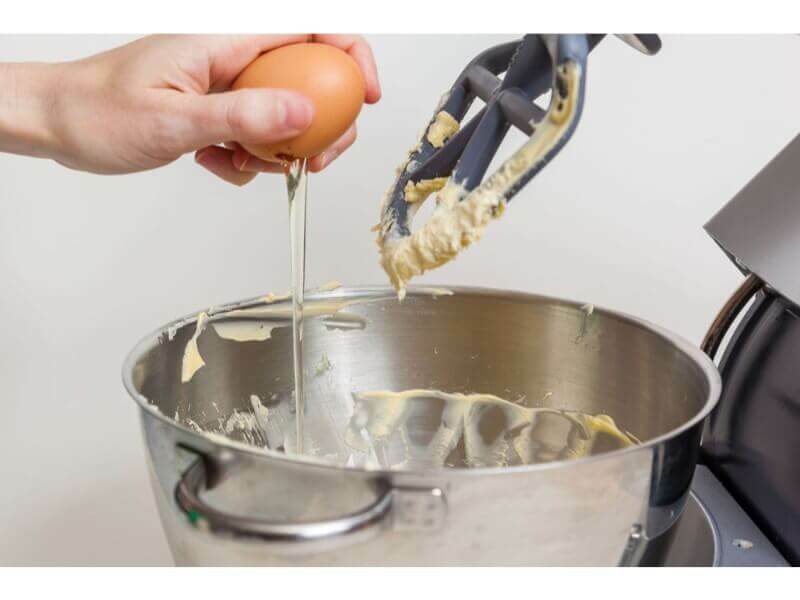 Take four medium eggs (they need to be medium or the mixture is too eggy). 7. Add one to the mixture then mix in on slow speed. Then add another to the mixture and mix in on slow speed. 8. If your mixture curdles a little, do not worry. 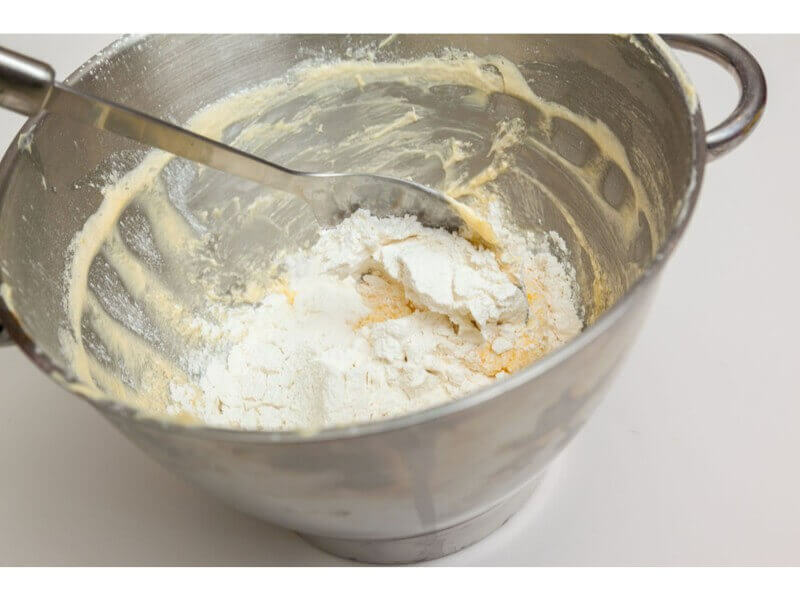 This will disappear when you add the flour. 9. 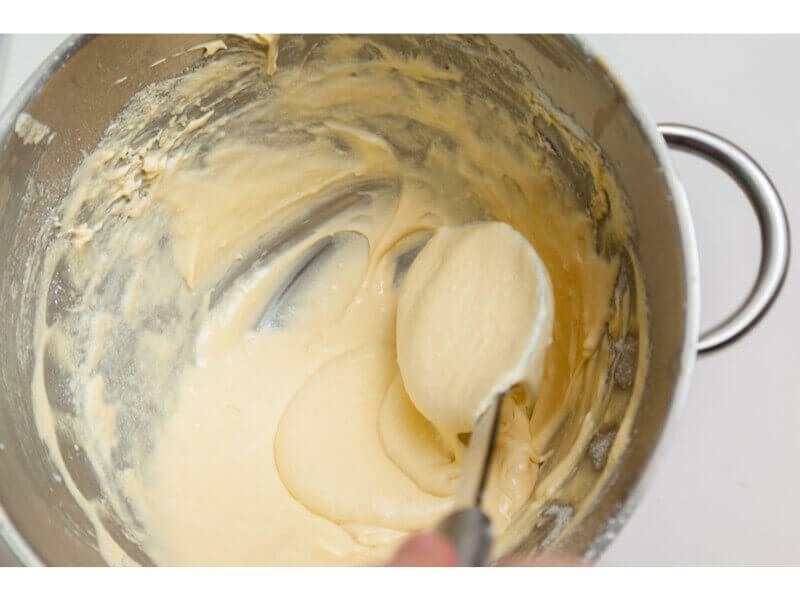 Ideally your mixture should be smooth like this. 10. 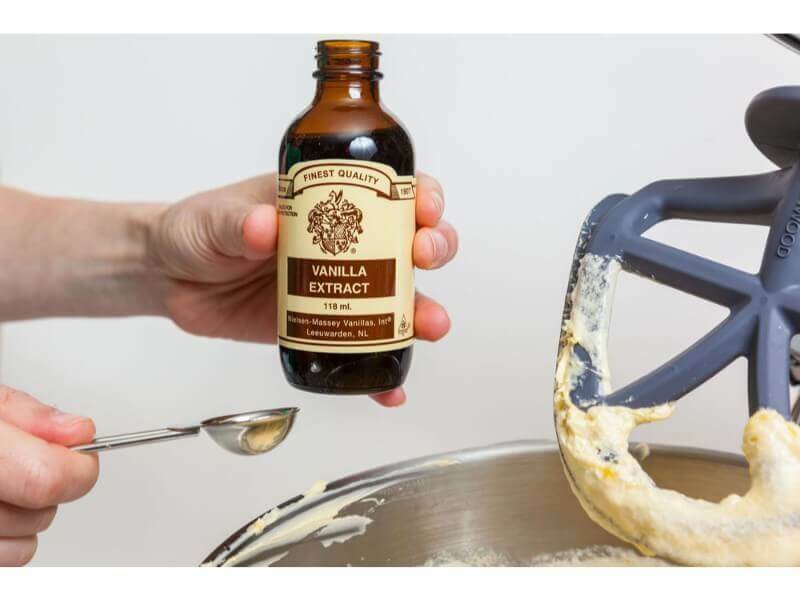 Add 2 teaspoons of vanilla extract. Do not use vanilla essence. 11. 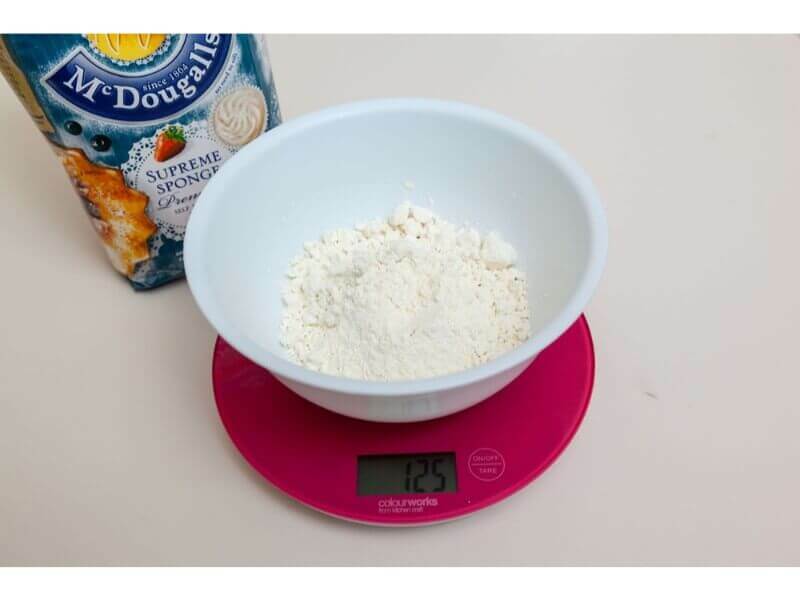 Measure out 250g self raising flour. 12. 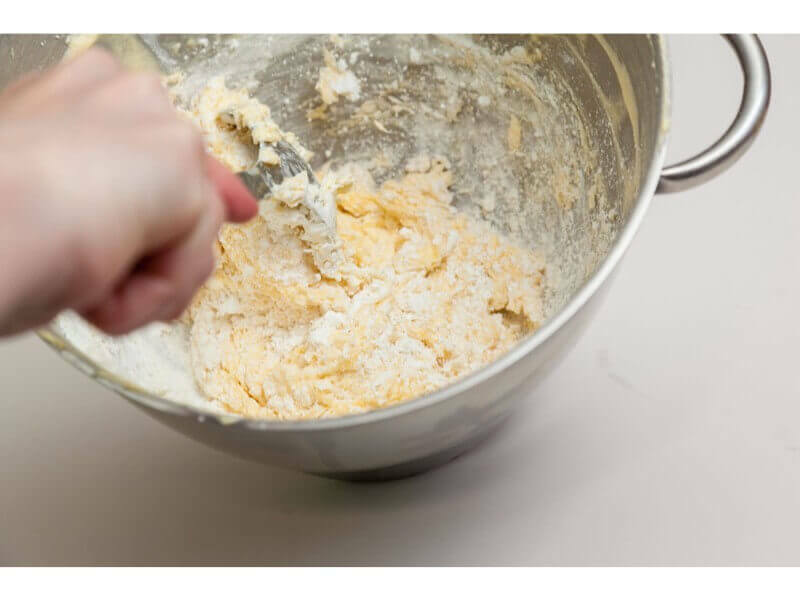 Add 4 tablespoons of cornflour to the flour. 13. 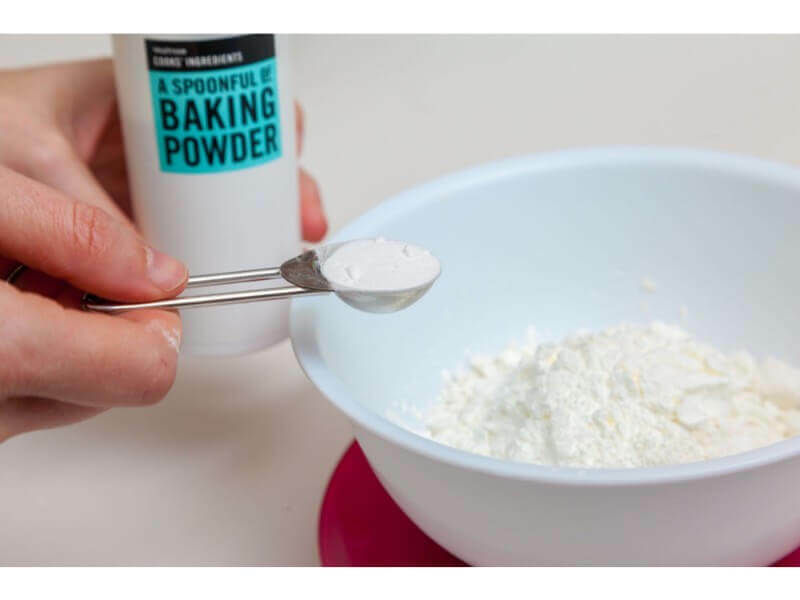 Add 2 teaspoons of baking power to the flour. 14. Then, and this is important, mix BY HAND. 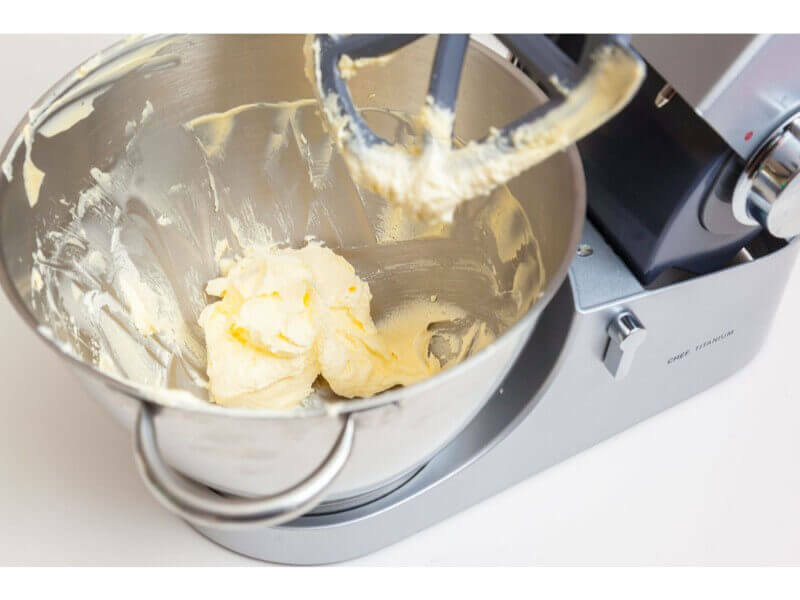 Do not use an electric mixer. 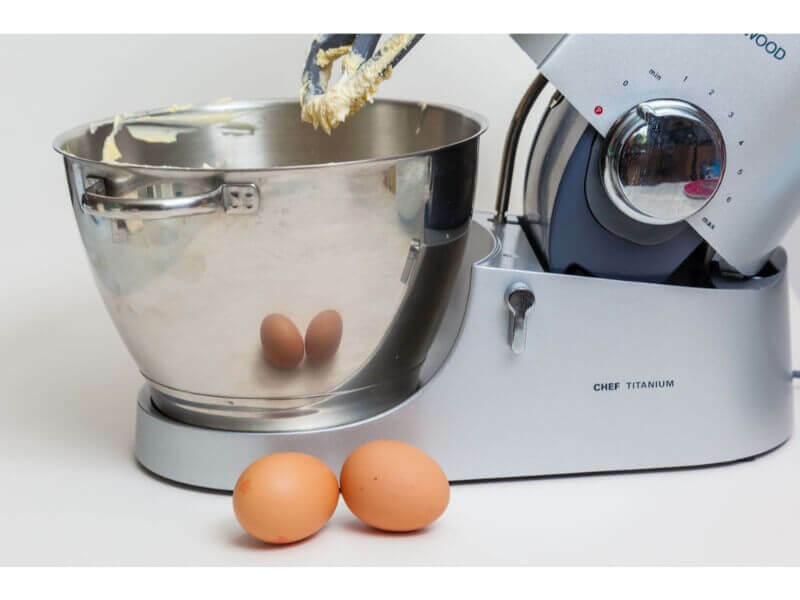 This is because you must not over mix the flour. 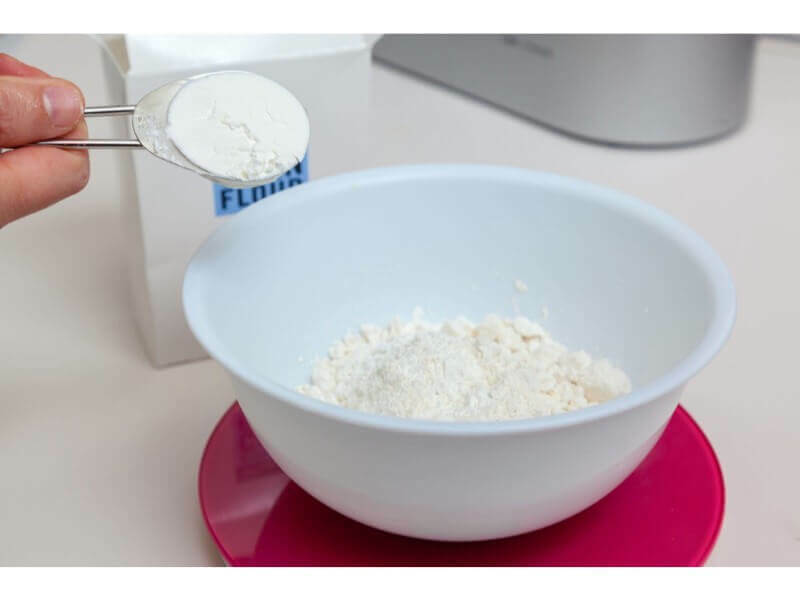 When flour is exposed to liquids (ie the batter), gluten (the protein in flour) is released. The more you mess with gluten (ie by over mixing) the tougher your cakes will be as the gluten will become all stringy. 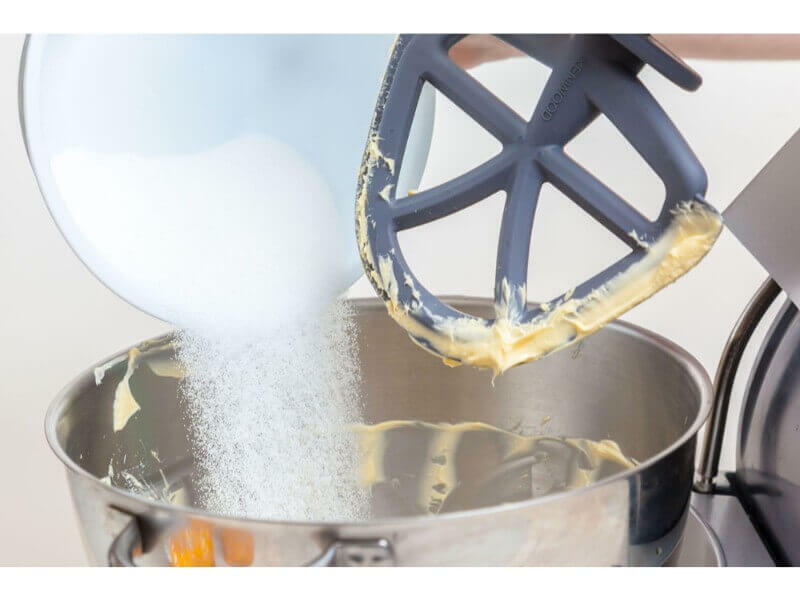 This is why we do not use "mix all in one bowl methods as you need to mix butter and sugar for a long time but flour must barely be touched). 15. Mix it gently (being careful not to go too fast). 16. 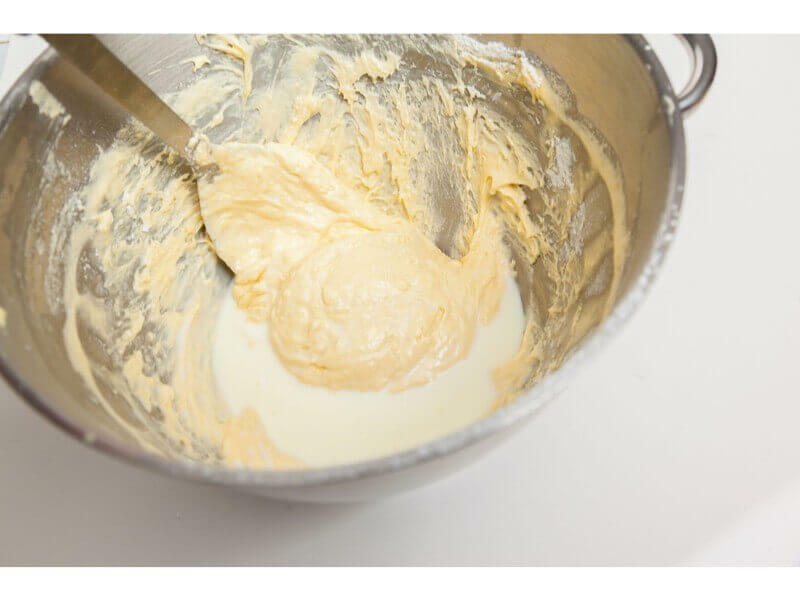 Mix until all the flour has been covered by the liquid batter. 17. Add 5 to 6 tablespoons of milk (add more milk in the summer). 18. The milk should drown your mixture. 19. Mix in the milk until it has bound in. 20. 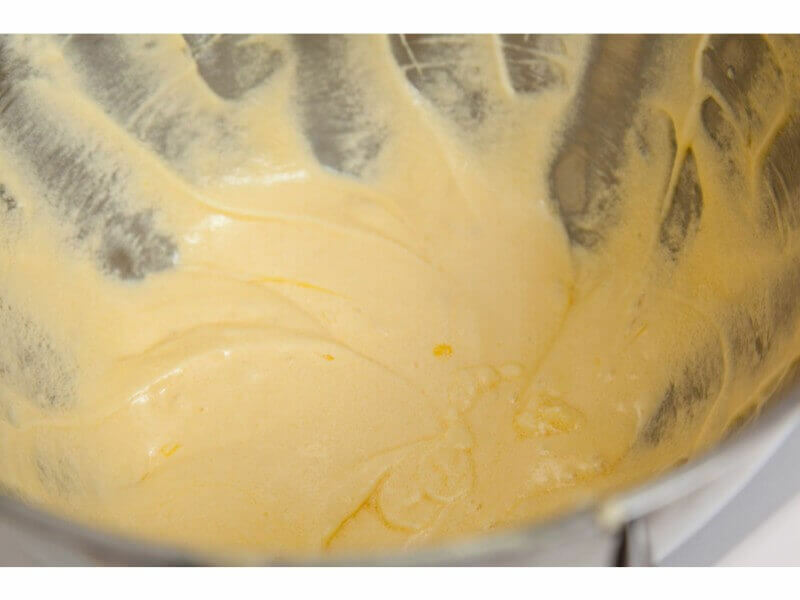 The resulting batter will not be thick. It will be smooth (but not runny). 21. 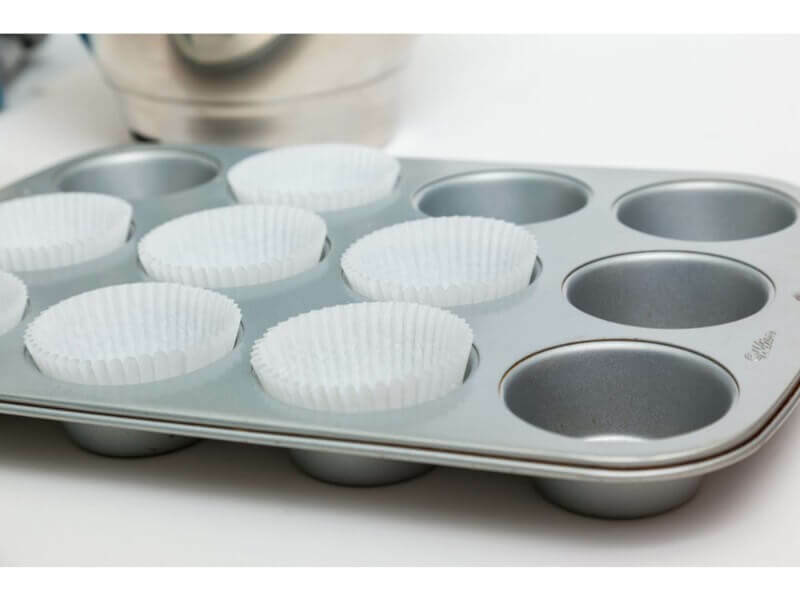 Line two muffin tins with muffin cases. We use cases that are 5cm across the bottom and 7cm across the top. They are 3cm high. 23. 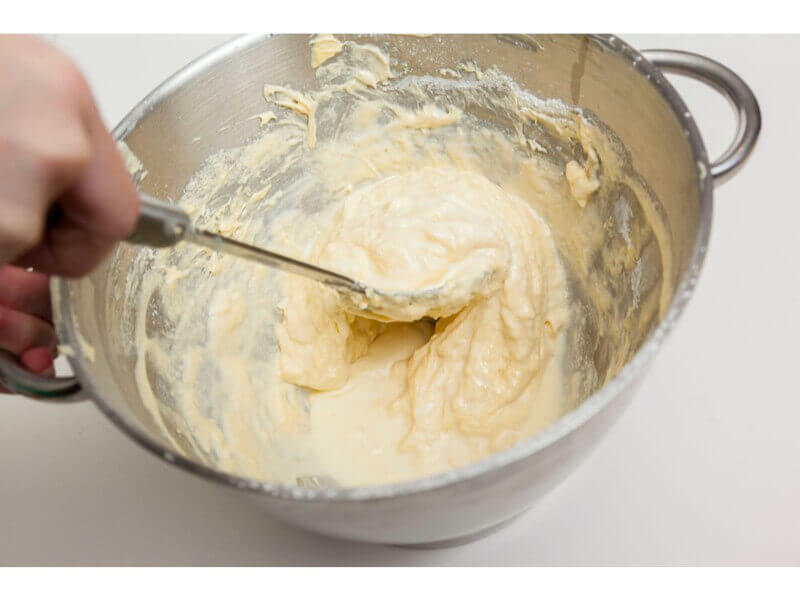 Scoop up the batter. 24. Drop each scoop into the muffin cases. 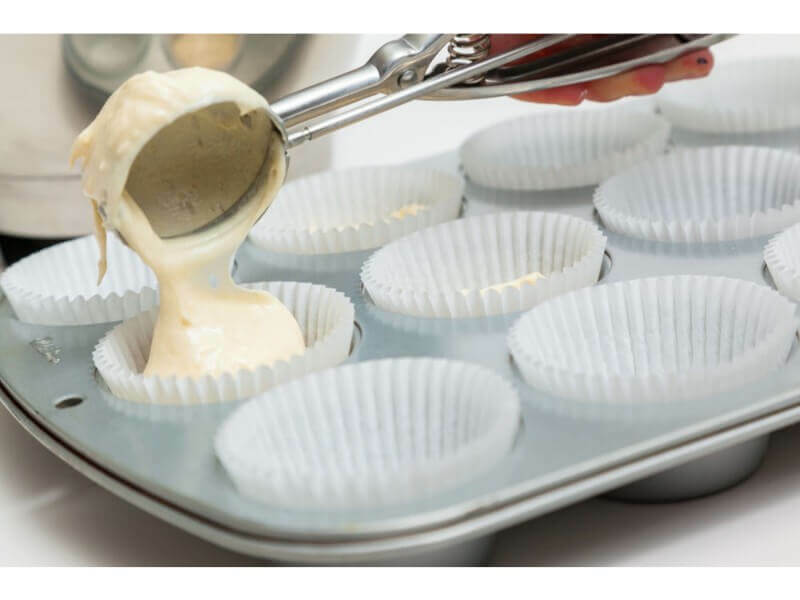 If using the Ice Cream Scoop for Flat Topped Cupcakes you should be filling them about 1/2 way up (any higher and you start to develop domes). 25. 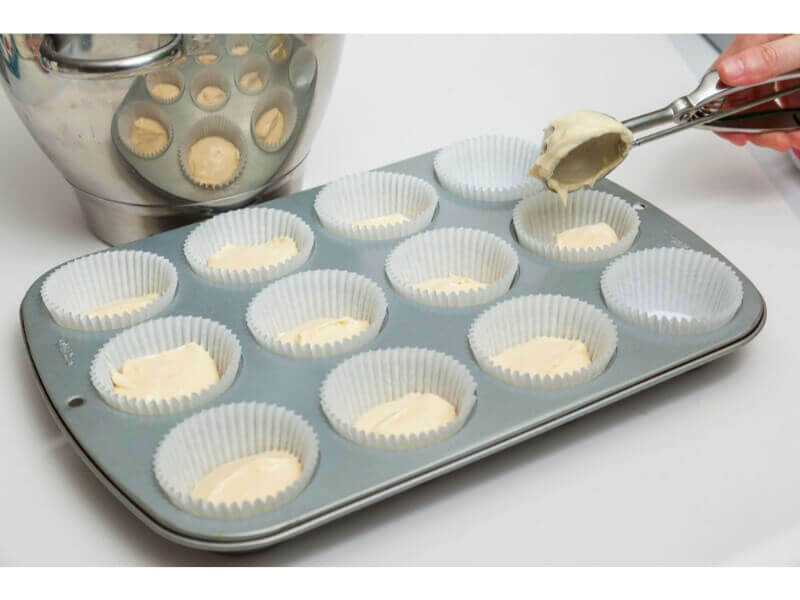 You will have enough batter for 24 cupcake cases if you are using the Cupcake Cases that we sell. 26. Each case needs to be filled to just under half way up. Using the Ice Cream Scoop for Flat Topped Cupcakes should achieve this. 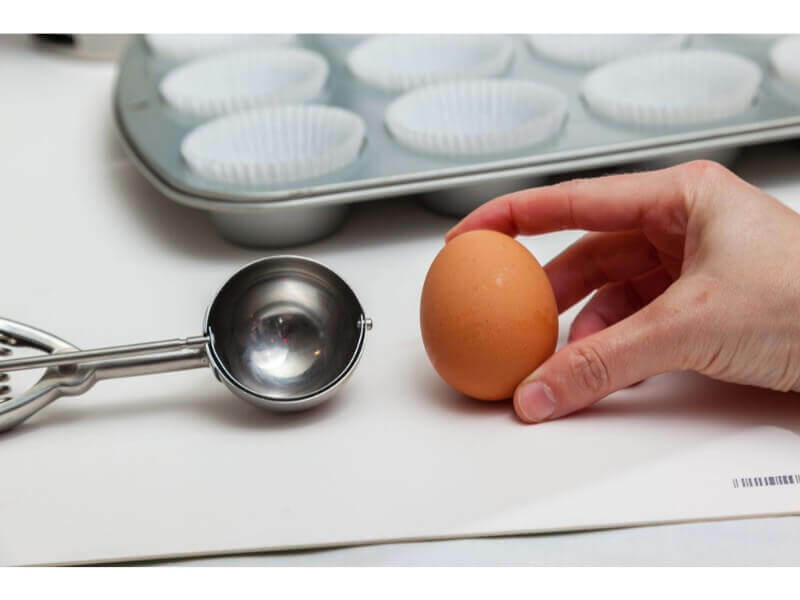 You can test the height using a teaspoon by pushing down gently in the middle. 27. 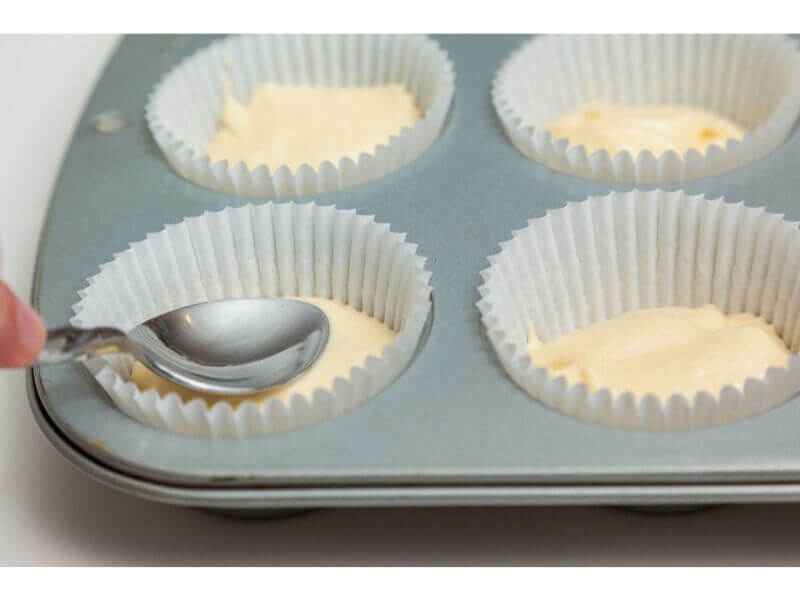 The cupcake mixture will look lower than you might expect, and this is how it should be as the baking powder will make it rise. 28. 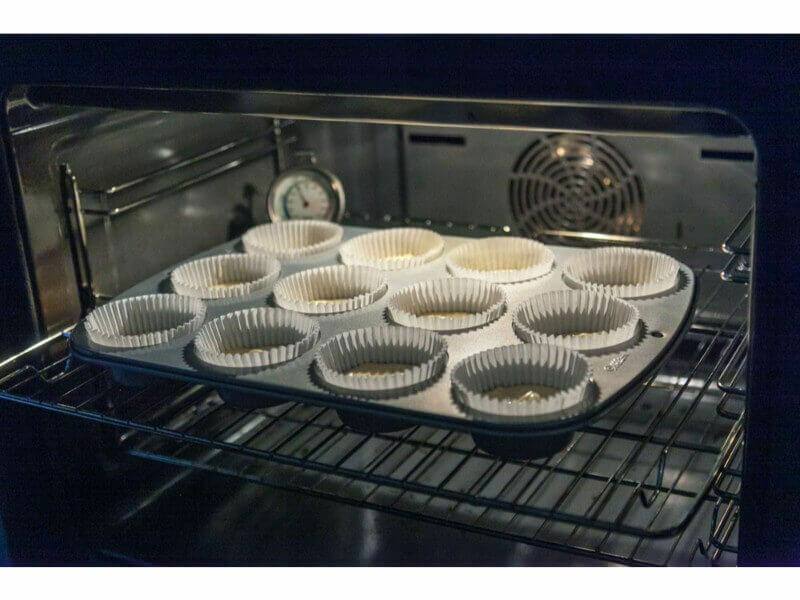 If you're using a fan-assisted oven, it should be at 150 degrees Centigrade before you put the cupcakes in. 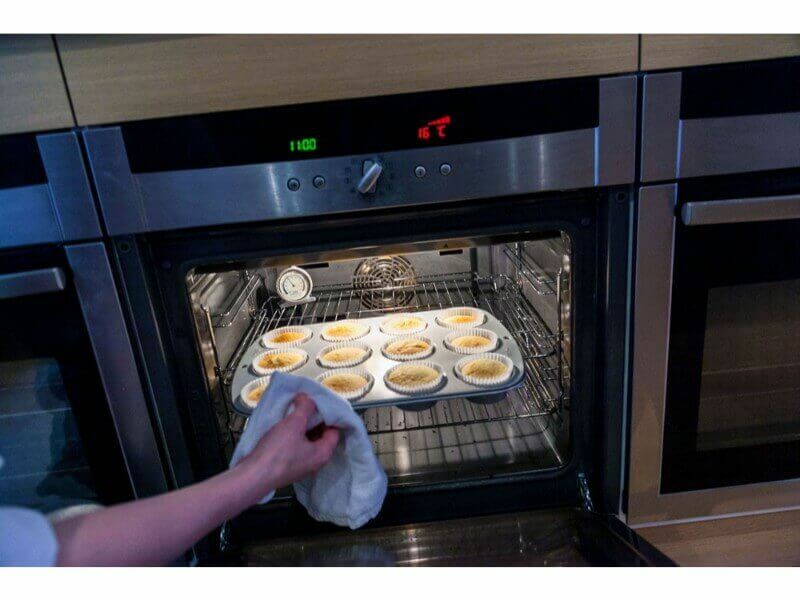 Non-fan ovens should be at 170 degrees. 32. 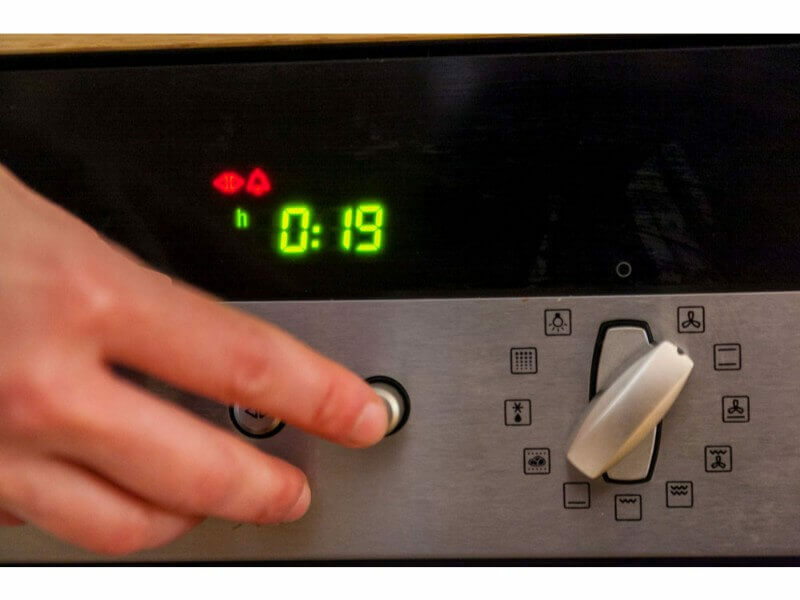 After 19 minutes take the cakes out. You can test them with a cocktail stick. The cocktail stick should not come out completely clean. It should have a few small crumbs of cake on it. For more recipes, videos, pictorials, masterminds, member perks and an awesome community, join the Pretty Witty Academy. It is the best online cake and cake business school in the world.